Hello all, this is a draft of PART:1 of CT's Information Metabolism. I'm opening it up here for review before publishing anything on the website. This is a very technical topic, so pardon the density of material. For those who are interested in the metabolic aspect of CT, please feel free to share your ideas. The more refinement it goes through, the stronger the model can become. Thanks! Metabolic Function = A cognitive process that constructs our awareness at a millisecond level. A metabolic process is algorithmic, and handles how we compute reality. Thus a metabolic function carries no necessary opinion; it is that which handles the construction of opinions. Metabolic functions carry no "content", but do carry a functionality which generates certain types of content more commonly than others. Content = Content refers to the manifested opinions, beliefs, values, worldviews and paradigms that are generated by the accumulation of thousands of mental computations over time. At the fundamental level, content is irrelevant to type. What processing modality you function from cannot be absolutely determined by whether any particular idea or belief is held. Content is the "what", while the metabolic function is the "how." Type is a question of how we process information, not what content we have a current affiliation with. Object = An object refers to any dataset that can be entertained conceptually as a standalone entity. There are literal objects (car, house, wallet) as well as abstract objects (anger, love, liberalism, government). The psyche makes no differentiation between tangible or figurative objects since any information that the psyche handles is transformed into a mental object. Even the most literal substances are experienced --phenomenologically-- as mental objects by the brain. Thus, the fact that you are holding an orange in your hand registers in the mind as the mental object "orange" with all its components attached. The mind must build a concept (proxy/simulation) of the orange for you to handle it properly, and this concept-formation happens for all other things that don't have a physical analog too, placing them all in the same category of being a (mental) "object." J - Differentiation = The conceptual splitting of one thing from another. This can be in telling apart one color from another, right from wrong, or in drawing boundaries and categories of any sort. To say "that is a German Shepherd" is a differentiation and classification of an object by a list of properties. Differentiation compartmentalizes reality into further and further detail with the aim of achieving accuracy and (mental) order. This can encompass linguistic clarity, bureaucracy, ethics as well as the difference between self and other. P - Synthesis = The accumulation of information and it's integration with existing data, with no necessary excommunication of any part. Synthesis sees everything as a whole, and does not draw barriers. One thing leads into the next, and is perhaps dependent on it. Nothing can be viewed by itself outside of context, since context means everything to the proper comprehension of anything. Synthesis is relativistic in thinking, rather than absolute. It sees spectrums, gradients and fuzzy boundaries (or no boundaries at all). E - Proactive = Proactivity refers to an energetic vector which moves mentally away from the subject and towards the object. It is a type of libido where there's a seeking out. The psyche is attuned to what is out there, and animates in the direction of that thing. This can take the literal form of movement (action) but can also be a mental pull to absorb more and more things. For example, sitting alone on a computer while gaming and watching video series is considered "proactive" because energy and libido is going away from you towards something found out there, and seeking to bring that in or interface with it. I - Reactive = Reactivity refers to an energetic vector which moves mentally away from the object and towards the subject. A reactive libinal vector preserves and withholds itself from the influence of objects, and focuses on the pre-existing content matter from within. No new data is sought, and no outer action is taken. Attention is turned towards the static analysis of perhaps one mental object at a time; evaluated for its ontological properties. The world is understood from the place of what has already been collected or understood, or from what might be understood by evaluating that content more carefully, rather than taking in more data. Je = Je is an energetic function created by the properties: proactive, object-oriented differentiation. It is a proactive libidinal vector geared towards the differentiation of objects into order. This can be physical or mental objects; the result is the same. Je's aim is to take the synthetic reality we live in (P) and to structure it in such a way as to create agency. The emergent property (or aim) of Je is attaining utility, and it's method is execution. The purpose of the external organization of objects is to move (proactive) reality from one arrangement to another. It is causality-oriented reasoning. Examples of content that may emerge from this are economic theory, physics theories, social dynamic theories, politics, business as well as logistics and engineering. As objects can be mental or physical, and Je handles the ordering of objects all the same, sitting alone in a room drawing engineering schematics or simulating a social/phone conversation in your head are also examples of Je's causality-oriented processing and metabolism. Ji = Ji is an energetic function created by the properties: reactive, subject-oriented differentiation. It is a reactive libidinal vector geared towards differentiating the qualities of a single subject. The subject can be the person themselves, or any one thing/concept that is evaluated for its own static properties. Rather than comparing things to other things in a causal fashion (Je), Ji evaluates how a thing compares to itself -- whether it is self-aligned or not. The emergent property (or aim) of Ji is alignment, and it's method is diagnosis. It gives an output value that informs the individual of how askew a thing is with itself, according to the parameters that are being used. Examples of it's function include the identification of: self-contradictions, impurities of character, hypocrisies and asymmetries. If the individual is used as the central reference frame, then all things will be compared against themselves for alignment or misalignment in beliefs, ethics, reason, aesthetic, motives -- giving a particular output value of how resonant the thing is to them. Pe = Pe is an energetic function created by the properties of: proactive, object-oriented synthesis. It is a proactive libidinal vector geared towards absorbing and navigating information in real-time. This information can come from the physical world or from the conceptual world of books and ideas. The emergent property (or aim) of Pe is attaining novelties, and it's method is exploration. Thus, information is especially sought after if it can refresh our understanding of something, allowing it to be viewed like never before. The absorption of information is done with a bias towards intrigue, and through surprise or excitement. Secondly, this real-time registration of environmental context allows for flow, or the seamless movement from one situation to the next by an understanding of the mental or physical setting. This can be in the form of idea-hopping, brainstorming, or gracefully riffing through a kinesthetic reality. Pi = Pi is an energetic function created by the properties of: reactive, subject-oriented synthesis. It is a reactive libidinal vector geared to preserve a comprehensive information tapestry and map. It does not seek it out new objects, but is preoccupied with synthesizing all known information into a single/unified predictive schema that is superimposed onto reality. The emergent property (or aim) of Pi is attaining predictability, and it's method is narrative. Reality is comprehended proverbially as a chronology with themes and sub-themes interwoven together through adjacent relationships. But this entire eyesight is held in the individual subject, while the objects are anticipated to conform to the projection. And in this way the subject retains dominion over the object. The contents that may emerge from this operation include an affinity for storytelling, history, anthropology, literature and all manner of knowledge structures that can nurture a more comprehensive internal schema of the world. In addition to self alignment, is Ji also responsible for the judgement of alignment between objective and subjective data. For instance, as I read these definitions and compare them to my own experience is that also an example of Ji operating? Yes, it's the same with the Fi Palate evaluating, in a one-on-one way, whether a certain things is resonant or dissonant with their inner core. But it's contingent to what we mean by: "comparing them to my own experience"
For example, if the mental action is going through ten different cases of you acting, over time, then you are actually comparing objects-to-objects. You are then viewing yourself as an outer object, or a set of objects moving through space. This reminds me of the conversation I had with Thorne (Te-lead) in Discord where he took an approach to evaluating himself that depended on multiple sources such as ~16 people's opinions of him, and triangulating an answer. I find that I can use Fe to see myself as an object, and compare myself to past selves (objects) to get a sense of who I am, almost as though I wasn't in my own shoes. This is also why Fe Shame is a thing, as a lot of Fe's self-evaluate from an Fe place. But I can also just evaluate a statement against my core principles in a static fashion for alignment or misalignment. So self-evaluation itself is not synonymous with Ji. It's about whether you are comparing the outer object to the compass in a 1:1 way. By "comparing them to my own experience" I mean I compare the definitions with a given activity that I want to understand. In this case, I was comparing the definitions to the activity of trying to understand when I'm using each function (A bit meta, i know). The question I'm asking myself is, "Is this definition a good description of what I am/was doing?" I asked the question because it seemed to me that Ji takes one variable and compares it to itself. It's like autocorrelation in signal processing, in which a signal is cross correlated with itself. The process I seem to be engaged in is a cross-correlation of two distinct signals. I guess I'm still not clear on the difference between subject-oriented and object-oriented. Is it the same as reactive and proactive? The key clarification I'm going for here is this. Does Ji compare only X to X (Autocorrelation) or can it also compare X to Y (Cross-correlation)? And this is what's meant by "static" analysis. Thus, Fi can almost accomplish the same thing but it's more computationally intensive. It first compares itself to B in a 1:1 fashion to understand how they resonate or don't, then does the same thing to C, and from these static analyses it gets a sense of the level of mismatch between B and C, by how and where they each match up against A. So it might say "B wouldn't get along with C" but that conclusion was reached by the comparison of essences first from an inner place. Little may have been done in the way of observing B and C interact in real-time to see how they get along. This is an extreme vacuum case that omits Je/Te altogether, but it illustrates the matter, I think. Would it perhaps be more correct to say that Ji compares objects to their ideal forms? This would cover X to X, Y to Y and Z to Z comparisons, but not X to Y comparisons. Is it possible that X to Y comparisons may be a subset of Y to Y comparisons? For example, if I'm comparing a table (Y) to myself (X), then aren't I really comparing the table to my ideal of a table? Would it really make sense for Ji to compare myself to a table? When do people actually perform X to Y comparisons? I think I may be more tempted to agree with you on the subject of Ti, because it's harder to see how Ti compares things against itself. But just to use Fi for a moment, Fi cannot do resonance/dissonance without consulting the inner core. And this is actually what pings them and causes disgust reactions on the face. Disgust as a muscular contraction is linked to a personal repulsion/attraction. So we know at least that Fi compares X to Y, because it uses it's own Fi Palate not that of the other object. Since Ti tends to vanish itself from the equation, Y to Y is probably more common for real-world cases like tables, where the matter is treated more ontologically ("what is a table?"). But in other situations, such as anything that trespasses Ti's axioms, Ti will veto it by calling things inaccurate. And it doesn't see it as inaccurate in-and-of-itself, but inaccurate in comparison to the core axioms/principles it's laid out in its castle. supahprotist , you have to differentiate yourself from the object. I guess that's what the Ji's "X to Y" comparison means. (But i read the discussion quickly, i'm not really sure). Thanks! To clarify, all Ji judgement requires an internal sense of alignment. Even when comparing Y to Y, an internal register still needs to be pinged. What I’m proposing is that an Fi user in the case you described would be using their own emotional register as a metric for how aligned an object is with its ideal form. I think the internal register might be how the comparison is conducted and the ideal may be what the object is being compared to. 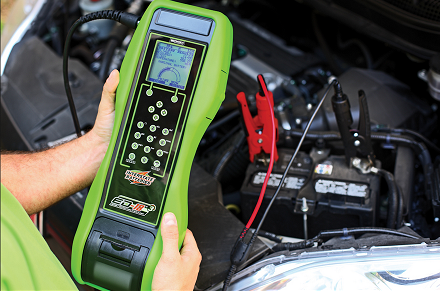 All diagnoses require the diagnostic device. Realistically Y can't compare itself to Y without a device to do it. And so even if we're comparing the battery (Y) to itself to find out its state (level of charge), the operation is handled through X (the device/compass). And this necessarily embeds the evaluation with the analytical criteria of the subject (X). So even when we're technically trying to compare the "table to itself" we are still biased in how we view/frame it because we're using our own reasoning to do so, and to give us the output value. So the core process is one of resonance. Essentially, Ji pings the degree to which the subject resonates with a given content. I still think I'm seeing two different processes here. One is X:Y resonance and another is X:X or Y:Y resonance. These seem to be fundamentally different operations. I guess I'm still trying to get at the fundamental process that is responsible for both of these activities. I'm also having trouble understanding how Y:Y resonance occurs. If Ji is just measuring the subject's resonance with a given content, how is the content's alignment with itself inferred? Yeah, I ran across that tidbit in my latest reply and am trying to parse it out better too. ?:? "how do things compare to themselves"
X:X "how do I (as a thing) compare to myself"
Y:Y "how does it (as a thing) compare to itself"
X:Y "how does it (as a thing) compare to me"
One idea that comes to mind is that we may indeed be mixing two operations that are two forms of Ji. Perhaps Fi is X:Y while Ti is Y:Y. If the presence of the emotional register is what catalyzes the use of oneself as a reference, then Fi compares to itself, while Ti compares things to themselves. This would also mean that Fi users cannot evaluate the ontological properties of things outside of their emotional register. This is curiously in line with the Fi profile, too. I find this answer stucturally coherent, what about you supahprotist ? I'm still mulling it over. It makes sense logically, as in it explains the discrepancy I noticed, but as to whether it’s true in reality, I can’t speak for Fi users and I’d need to think about my own experience of Ti a bit more to have anything to say about it. Auburn do you think this heterogeneous vs. homogeneous comparison strategy carries over to the proactive judgement functions? Could Fe and Te also operate in analogous fashions?